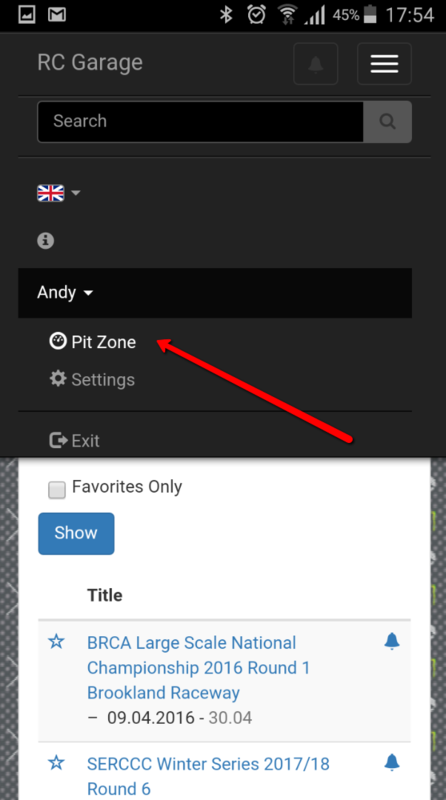 The time has come to announce a new feature of RCGarage which called "Pit Zone". It's quite obviouse from the feature's name where one will be interested to use it. So now when you signed for an event through RCGarage you will be able to see personalized information about upcoming and finished heats including your personal results!